HomeGardeningWhat’s wrong with my compost? What’s wrong with my compost? Composting is not rocket science but it is easy to get it wrong. The trick is to have a balance of materials and not just throw it all in together and hope for the best. That balance should come in the form of ‘greens’ and ‘browns’. Despite the name green material isn’t always green, kitchen scraps are included in ‘greens’. Greens can be seen as things which were recently living – nitrogen rich green stuff with moisture in. So think grass clippings, kitchen scraps and the tops of vegetables (carrots, potatoes etc). The browns are things that are more dry and carbon rich, quite often the more woody material. This includes cardboard, sticks and hollow plant stems. 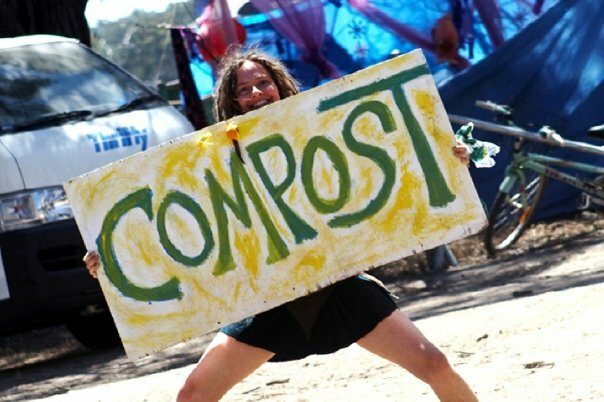 Look on your compost bin more like a living breathing organism needing air, moisture and nutrients rather than a pile of dead stuff which will magically rot down. If you add moisture and nutrients from your green waste it should be balanced out with the more structural and aerating brown waste. For added nutrition, add weeds such as comfrey, nettle leaves or chickweed – it’s a little like giving your compost bin a vitamin pill. Also human urine is nitrogen rich so a mix of dry dead stuff (including torn up cardboard) and wee should decompose well. 3 Comments on What’s wrong with my compost? So true, you really do need to mix up what you put in the compost heap. We don’t bother turning ours, just make sure it all goes in layered well. In hot weather we find it is worth watering it too coz it really does stop working if it gets too dry. I tend to wee on the heap when it gets too dry but you are right, a little water doesn’t hurt in dry weather. Layering is a good tip too, for the small darlek style bins this can just be a case of a couple of spades of greens, couple of browns or torn up cardboard in between.